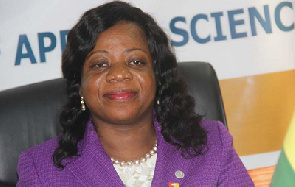 The Vice-Chancellor of the Koforidua Technical University, Professor Smile Dzisi has called on women in the academia to aspire for leadership positions in their institutions and in the country. According to her, there was gender disparity when it comes to attaining higher heights in academia with few women occupying leadership positions on faculties, institutions and in the country. Professor Smile Dzisi who was speaking at a three-day workshop on navigating women’s career in higher education in Koforidua said there was the need to bring out strategies to change the status quo to encourage more women to achieve higher academic excellence and accept to take up higher positions in their institutions and country. The workshop which was organised by the German Academic Exchange Service, DAAD in collaboration with the Koforidua Technical University (KTU), brought together women in academia from universities in Ghana and some West African countries to brainstorm and map out strategies to encourage women in academia to take higher heights. It was also meant to equip them with the necessary skills to enable them build on their own career, improve teaching and research and also to exchange knowledge and build new and renew old inter-discipline networks. Prof. Smile Dzisi called on the women to refrain from using their husbands and children as excuses, adding that attaining higher heights in academia would make their families proud. She also called for a national strategy to empower and encourage more women to break barriers and overcome challenges to follow their passion and navigate careers in the Science, Technical, Engineering and Maths (STEM) disciplines. For her part, the Country Director of DAAD, Lena Leumer explained that women were faced with numerous challenges that deterred them from achieving higher academic excellence. “The challenges range from satisfying family needs at their expense, lack of building networks among others,” she said adding that the workshop would enable them carve out a way forward for women in academia to have a strategy, build new networks and have a concrete plan to change things for the better. A participant, Dr Patricia Owusu Darko, a lecturer from the Kumasi Technical University called on women who have excelled in academia to mentor upcoming ones to attain higher heights.